Valmet will supply flue gas condensing and asphaltene combustion systems to Finnish energy company Turun Seudun Energiantuotanto Oy (TSE). The systems will be installed at the NA4 power plant unit in Naantali, western Finland. The orders are included in Valmet's first quarter of 2019 orders received, with deliveries scheduled to be completed by the end of 2019. The value of the orders will not be disclosed. An order with this scope of supply is usually valued in the range of EUR 10-20 million. 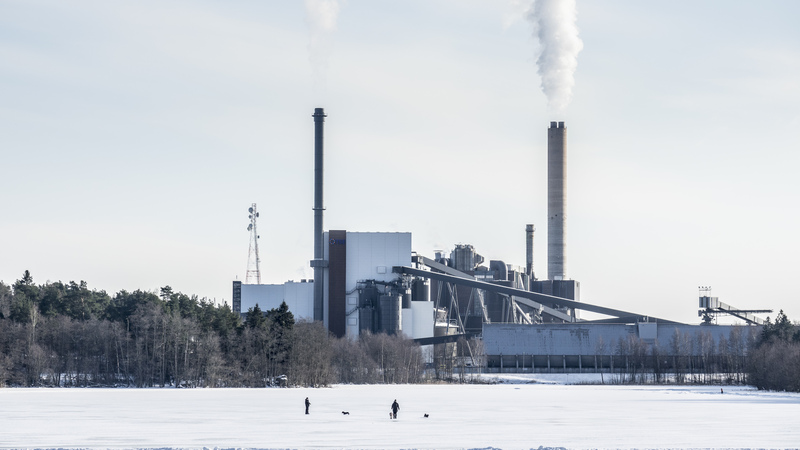 "The investment in the flue gas condensing system is a significant step for the Naantali power plant in terms of energy efficiency. With the combination of the flue gas condensing and asphaltene combustion systems we are taking another step towards coal-free energy production," says Maija Henell, Managing Director, Turun Seudun Energiantuotanto. The new flue gas condensing system will enable Turun Seudun Energiantuotanto to increase their district-heat production capacity and improve efficiency at the NA4 unit. The heat is produced by condensing the moisture in the flue gas, which has risen due to TSE increasing the share of biomass in the plant's fuel portfolio. Once treated, the condensate can be used to reduce the amount of fresh water consumed in the production of boiler plant make-up water. The amount of energy recovered through condensing is about 250-300 gigawatt hours (GWh) per year. The asphaltene combustion system will enable TSE to replace coal with an oil refinery by-product. Asphaltene produces lower carbon dioxide emissions than coal, and experience from other asphaltene-fired plants delivered by Valmet has proven that it is an ideal replacement in circulating fluidized bed boilers. "We are delighted to be able to continue our cooperation with Turun Seudun Energiantuotanto at the Naantali power plant," says Kai Janhunen, Vice President, Energy business unit, Valmet. "Our existing circulating fluidized bed boiler together with our automation and industrial internet solutions are already enabling the plant to run at a high level of efficiency. The new flue gas condensing and asphaltene combustion systems will enable TSE to take even bigger steps forward, both in terms of efficiency and sustainability." The flue gas condensing system comprises a flue gas scrubber, heat recovery equipment, and condensate treatment equipment. The heat recovery from the flue gas to district heat is 60 MW. The asphaltene combustion system comprises storage and feeding equipment as well as necessary modification work to the boiler plant. The new processes at the NA4 unit will be controlled by the existing Valmet DNA automation system, which will be expanded to cover the new systems. Turun Seudun Energiantuotanto (TSE) combines local expertise in the energy sector and top knowledge from the Nordic energy industry. The company ensures that the Turku region receives its basic heating in an economic, efficient, and sustainable way.